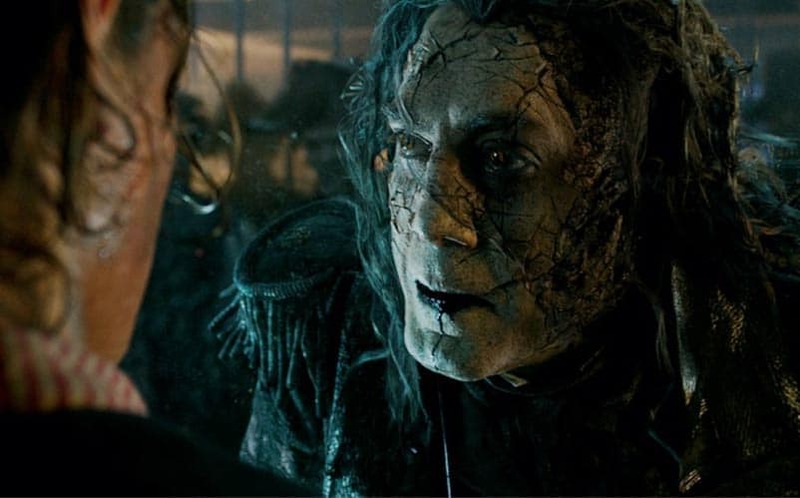 New Pirates of the Caribbean: Dead Men Tell No Tales Teaser | Nerd Much? Would you tell that to him, please? Late last night, Disney debuted the first Pirates of the Caribbean: Dead Men Tell No Tales trailer, giving us our first taste of the upcoming sequel. In the brief teaser, we’re given a look at Javier Bardem’s rendition of Captain Salazar, complete with strange special effects with his hair. Of course, it wouldn’t be a Pirates of the Caribbean film without Captain Jack Sparrow, but unfortunately, we’re only teased of his return with a “WANTED: Jack Sparrow” poster. The upcoming Pirates of the Caribbean movie will focus on deadly ghost pirates led by Captain Salazar, Jack Sparrow’s old nemesis. The only way for Sparrow to survive the ghost pirates is to seek out the legendary Trident of Poseidon, which would theoretically grant Sparrow total control over the seas. If it sounds wholly ridiculous, just keep in mind that it’s a PoTC film and they’re all quite ridiculous, indeed. Dead Men Tell No Tales will star Johnny Depp, Kaya Scodelario, Orlando Bloom, and Javier Bardem. It’s set to release in theaters on May 26, 2017, and it’s one of our most anticipated upcoming movies of 2017.